Georgia O’Keeffe has influenced artists of all kinds for generations. 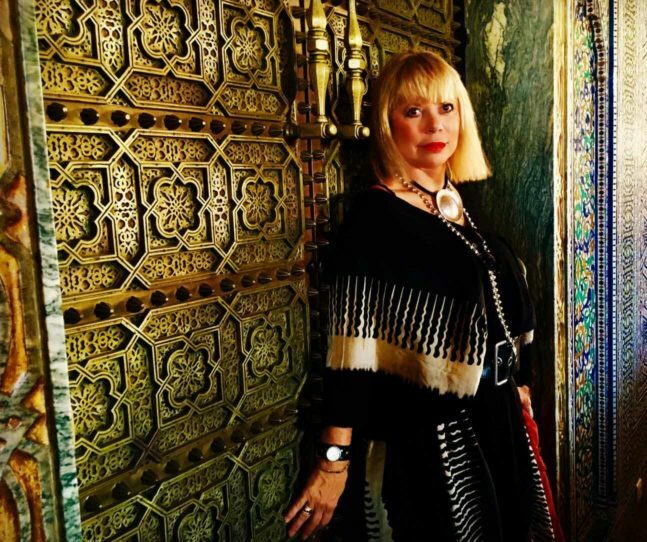 The world of fashion is no stranger to her artistic aesthetic. Nods to her subject matter, scale and use of color have made their way down runways and onto the pages of fashion magazines before. However, the Georgia O’Keeffe: Art, Image, Style exhibition at PEM has provided a fresh new perspective for any designer wanting a deeper understanding of the artist and the image she crafted so carefully for the public eye. 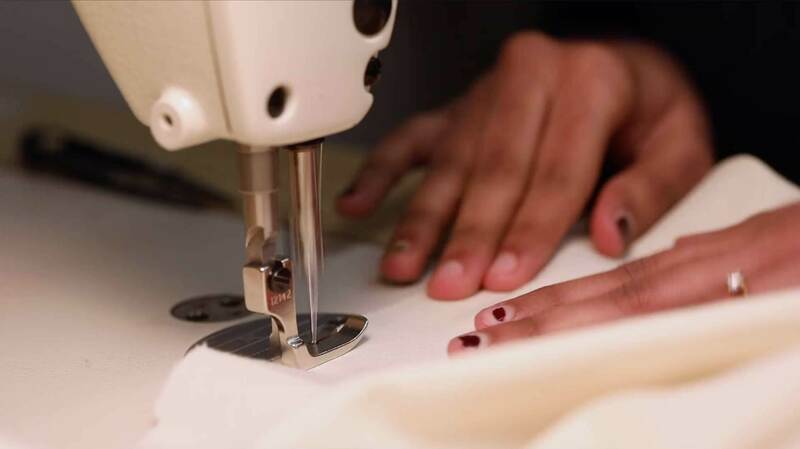 Three students at the School of Fashion Design, Boston were invited to immerse themselves in all things O’Keeffe and develop garments based on their findings. Kavya Khandavalli, Stephen Lamonica and AK Liesenfeld set out to learn everything they could about the woman, the artist and the myth. Their goal was to translate the essence of Georgia O’Keeffe — as they saw it — into contemporary fashion, much the way a creative director interprets the established fashion brand they are charged with leading into the future. They each chose which elements of O’Keeffe’s brand resonated with them in order to craft their sartorial message. 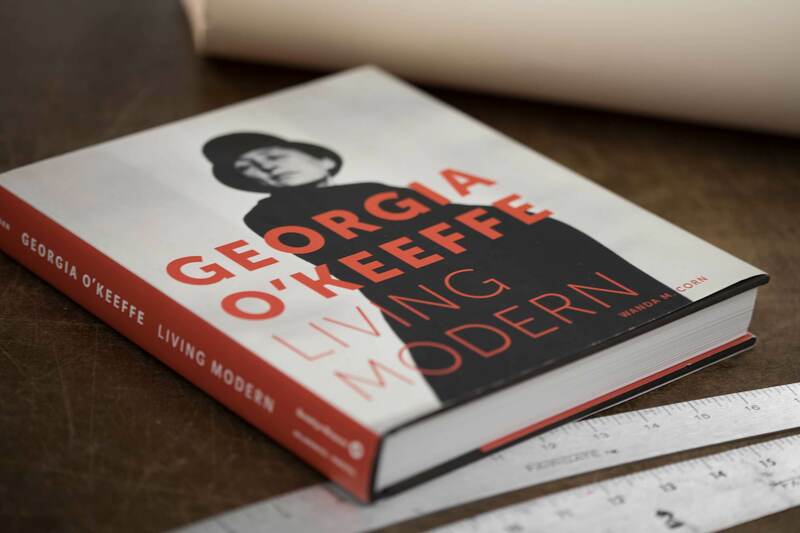 The exhibition catalog Georgia O’Keeffe: Living Modern allowed the process to begin months before the exhibition opened. Video interviews, portraits and photographs of discovered on Google searches and Pinterest boards helped to fill in the gaps. After collecting information, the students began to tease out the Georgia O’Keeffe attitude, signature silhouettes and fine details that would personalize each of the looks. The O’Keeffe attitude was one of effortless, yet studied ease. The silhouettes included the smock dress, the kimono and the wrap dress. Each designer punctuated their design with something different. Kavya used narrow multicolored bias strips of chiffon at the neckline and frog closures at the wrist. Stephen incorporated fine pin tucks and color blocking, while AK used a bold colorful print to make the lining and cuffs pop. Once each designer established how they would move forward as part of the team as well as individual designers, they needed to define the puzzle pieces that would eventually be assembled into a garment. It is at this point that their training would be put into practice and, at times, challenged. Sometimes sketching out their ideas involved drawing with pencil on paper or pixels on a screen. Other times they sketched out their ideas with muslin draped on a dress form. Once they had roughed out the basic elements of their design they would begin to engineer their final patterns. 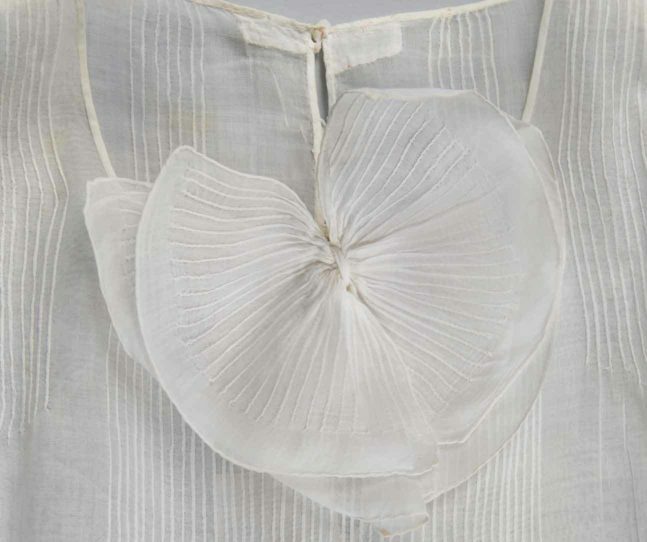 In order to access their work, these paper patterns would be used to create toiles, a test garment in muslin that would be used for fitting purposes and to identify any pattern-making or construction issues that needed to be addressed. The design process did not end there. 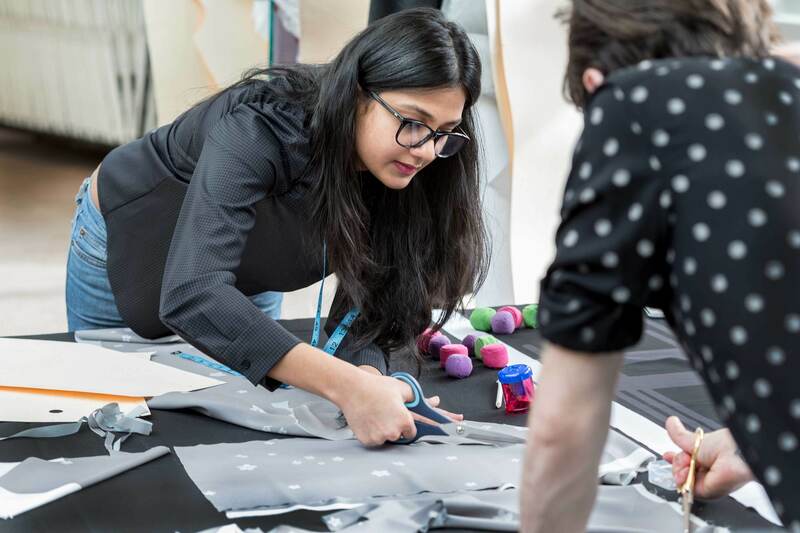 Kavya, Stephen and AK were also asked to use their research to develop original patterns for the fabrics they would use to make their garments. Most of the inspiration for these fabrics came from O’Keeffe’s artwork. 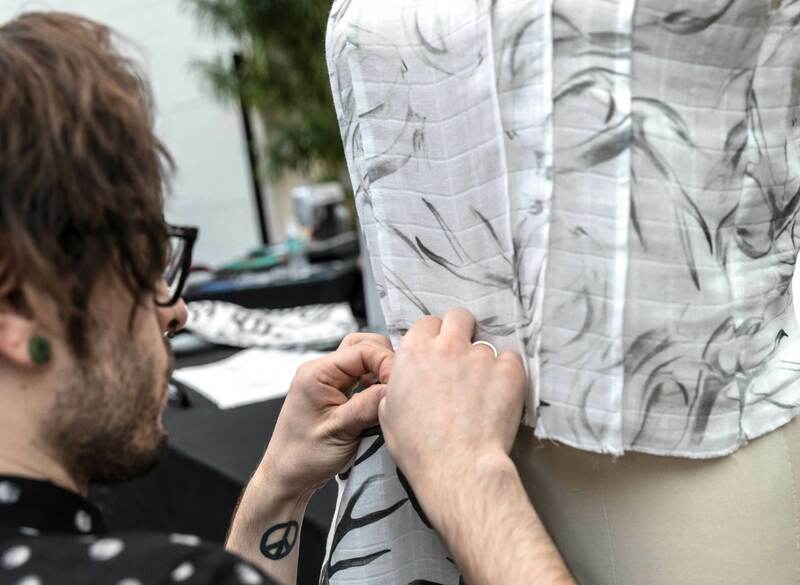 In addition to the selection of motifs, pattern layout and colorways, each designer had to consider what kind of textile would best serve the overall design, asking how the texture, weight and drape would affect the look of the piece. One of the truly unique aspects of this project was where all this preparation would culminate in the construction of the garments that these student designers spent months developing. 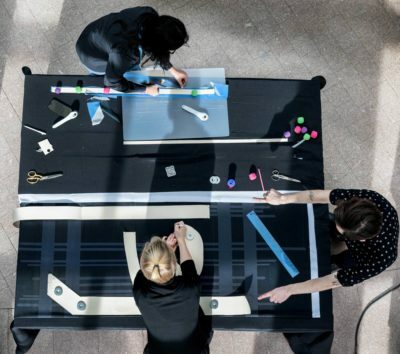 Outside the relative safety of the classroom, a pop-up design studio was created in the center of the PEM Atrium. Museum guests watched and asked questions. In preparation for this experience Kavya, Stephen and AK would need to consider the stagecraft involved in performing their tasks in front of an audience as well as how they would communicate with them and each other. The results were impressive. Not only did each navigate the challenges of the situation, but the shared experience made them a more cohesive team, collaborating throughout the entire process. The project didn’t end there. 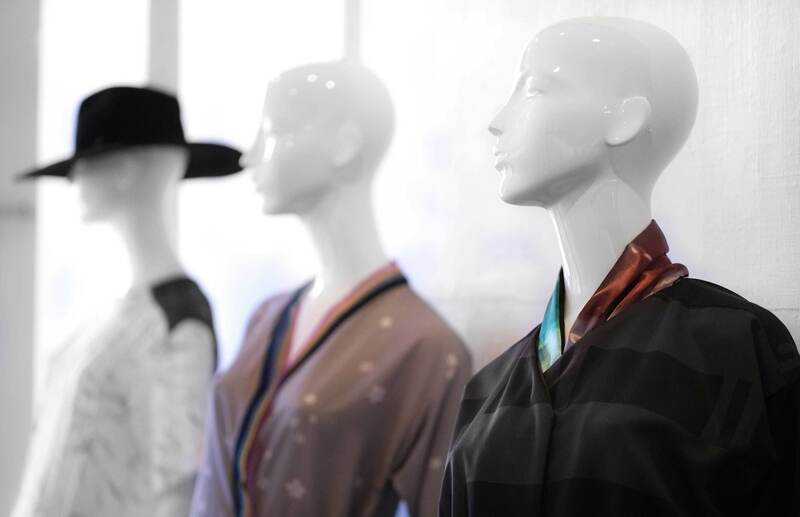 The garments have since been put on display as part of a small exhibition at the School of Fashion Design and featured in their Newbury Street window. Their next outing will be on the runway as part of the school’s annual fashion show on May 10. These student designers may even decide to expand beyond these single garments to create a collection based on their Georgia O’Keeffe research. As an educator and the facilitator of the project, I could not have been more proud of their dedication, growth and the resulting garments. It’s also important to note that this was an independent project that Kavya, Stephen and AK took on in addition to their considerable workload at school. 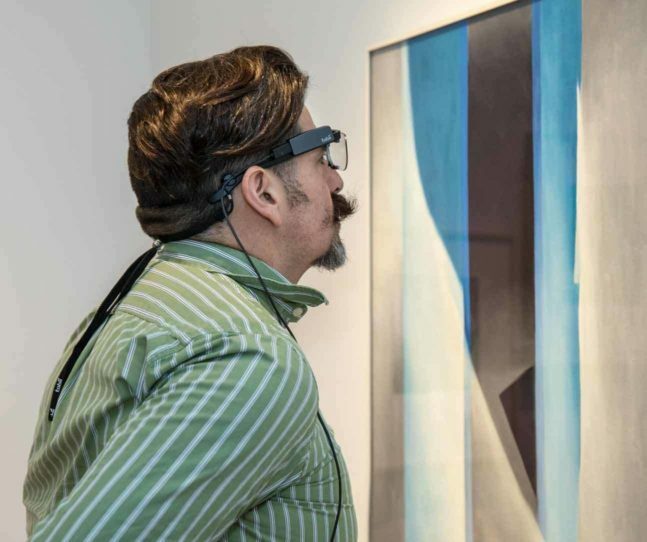 The value of museum programming — built around exhibitions like Georgia O’Keeffe: Art, Image, Style — cannot be emphasized enough. It allows for connected learning experiences that benefit teachers, students and the public in a way that nothing else does. Georgia O’Keeffe: Art, Image, Style closes Sunday, April 8, 2018.